Hondon Valley Homes are delighted to list for sale this substantial 4 bed 3 bath villa with 12×6 pool, guest casita, double garage and amazing views over the Hondon Valley. The villa sits on a 10.354m plot with views the entire length of the Hondon Valley looking south from East to West – sunrise to sunset. The main villa comprises of a large shaded naya with lovely views. There is an open plan lounge with satellite tv and internet connection as well as log burner. There is a fully fitted kitchen with gas range cooker and exterior utility. A central hallway leads to the bedrooms. There are 3 in total in the main house with the master bedroom having an en-suite bathroom. There is a further family bathroom. Externally the property exceeds expectations as there are breathtaking views from every corner of the plot. The plot is fenced for the 2000m of day to day living with the rest of the plot above the villa being left au-natural. The pool area is designed for all day use and there is seating areas, sunbathing terrace, shaded seating, a summer kitchen and of course the 12x6m private pool with “almost” infinity pool views (see photos). There is also a guest casita with shaded naya, large open plan lounge/kitchen and bedroom. There is a double garage on the eastern side of the plot. This is a property with huge potential as a sizeable family home and needs to be seen to be fully appreciated. The villa is connected to mains drinking water, farm water (for pool and gardens), mains electricity, aircon throughout, satellite television and wifi internet. Alicante airport and the beautiful beaches of the Costa Blanca are located at a distance of 30 minutes. The Hondon Valley offers the benefits of easy accessibility to travel, fully functioning villages with every conceivable amenities. The valley is a fertile area with the major crop being vines and also a large selection of olives, almonds, fruit and citrus trees as well as onions, tomatoes, artichokes, butternut squash and stevia. The mild climate in the winter means that crops grow all year and the valley is forever green. The local villages thrive with a multicultural mix of inhabitants and yet still retain all the charm of a traditional Spanish village with bars and cafes lining the streets and cooling fountains and palm lined plazas adding to the atmosphere. Take the time to look at the videos we have commissioned on the valley guide of our website. Hondon Valley Homes were established in 2006 and have been serving both buyers and sellers in the Hondon Valley and surrounding areas with hundreds of villa sales and rentals during this period. We have staff who all live in the area and we speak Spanish, English, Dutch, French, German. Polish and Italian. 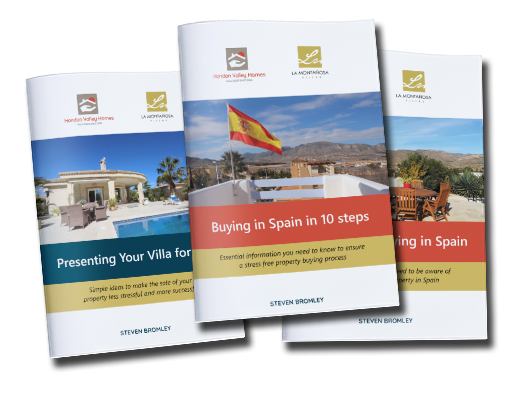 As the longest established international agent within the Hondon Valley we will be pleased to assist you in your search for your dream home in Spain. 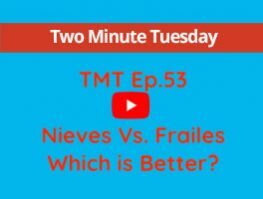 TMT Ep.53 Hondon de las Nieves Vs. Hondon de los Frailes..... Which is better? TMT Ep.51 Spanish Wills..... Are You Prepared? TMT Ep.50 Off Plan & New Build Properties.... What, Where, When and How. TMT Ep.49 How Many Villas do I Need to View Before finding My Dream Home?